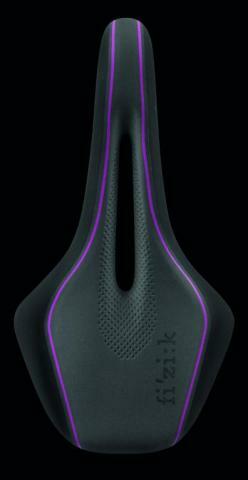 Italian saddle maker, Fizik, has taken their extensive knowledge of tri saddles to design and developed the Mistica Triathlon Saddle with carbon braided seat rails. The Mistica is a nose-less tri saddle designed and engineered for triathletes who favor a forward seated position and want greater comfort on longer events. This stubby, nose-less shape allows for comfort and pure performance in the aero-tuck position delivering a faster ride in the - all important - triathlon cycling leg. The first flourish you will likely notice is that the R3 uses the Boa IP1 closure system. That’s significant since the Boa is one of the most effective ways you can secure your shoes with a minimum of weight but a maximum of comfort. The system allows you to micro-adjust the fit without causing any pressure points or potential hotspots. The R1B Uomo Shoe, returns with some pretty sizeable alterations. The brand attributes these changes to input from professional cyclist. While it doesn't specify exactly who, what we've seen over the past few seasons might suggest that this body of athletes includes everything from TT-minded diesels like BMC Racing's Dennis to properly versatile rouleurs like Team Sky's Thomas. R4B Donna: fi’zi:k’s range of road cycling shoes is developed in collaboration with leading professional cyclists and used to great effect by WorldTour, Olympic and World Championship riders. The best technologies, materials, R&D, testing and manufacture techniques are used to deliver you the best shoes for road riding and racing, and trickle down throughout the range. As with all fi'zi:k Women's shoes, the cut, sizing and styling are made specifically for female riders. R4B Donna offers a carefully crafted blend of comfort and light weight, fit, power transfer and aerodynamic efficiency.